Here is a collection of the most salient hard-hitting, no-nonsense quotes that have made Bernie Sanders the beloved leader of our revolution. The longest-serving independent in US congressional history, Sanders currently serves as US senator from Vermont and is in the race for the Democratic Party’s nomination for president. Hundreds of thousands of people across the country are flocking to Sanders’s events to hear his wisdom on political corruption, distribution of wealth, international relations, immigration, health-care reform, climate change, education, and equality. 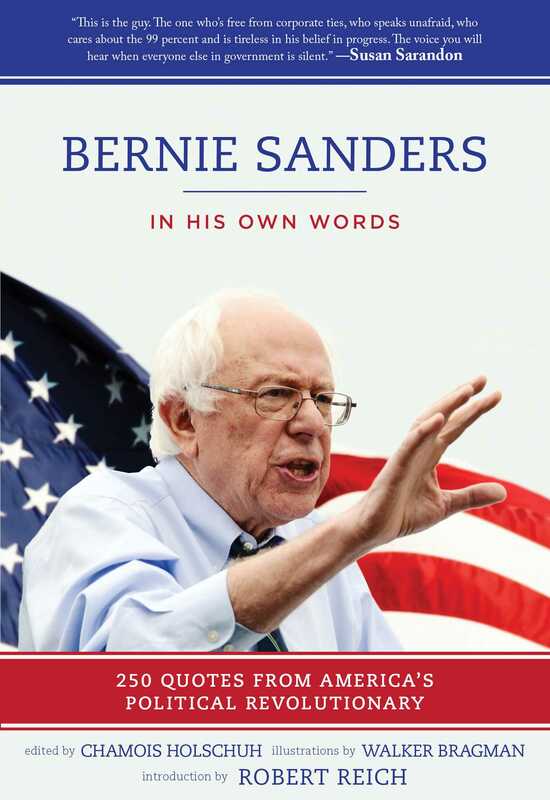 Now fans and critics alike can hear what Bernie has to say just by picking up this book. Known for his firm opinions on the economy, health care, and the environment, Bernie Sanders is a self-declared democratic socialist. He has called for free state college and university tuition, spoken out against Wall Street practices, insisted on increasing the minimum wage, and demanded tax reform. He has proposed significant health-care reforms, championed causes for veterans and senior citizens, and urged the government to address climate change in a proactive manner. A political revolution,” his campaign slogan, befits his assertion that the country is in need of an overhauleconomically, socially, and politically. As his grassroots campaign continues to explode, his social media presence flourishes and his events are attended in record-breaking numbers. Feel the Bern!